The Azadi March is all set to commence with PTI’s supporters all geared up to bring down what they believe to be the illegitimate PML-N badshahat. 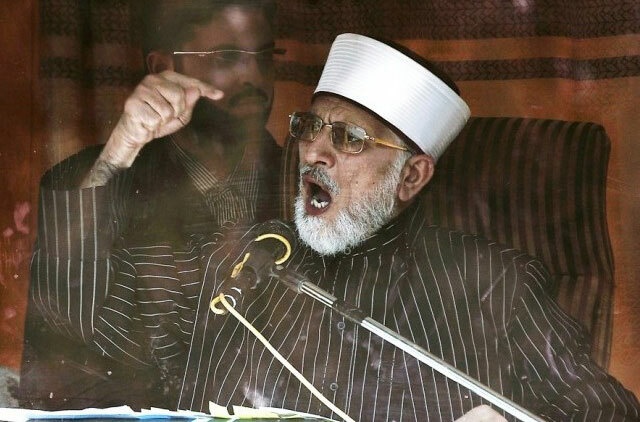 Equally charged are the supporters of Canadian national Tahir-ul-Qadri to bring an inquilab. Both of these campaigns have one thing in common, and that is the departure of the current regime which has just entered the second year of its five-year term. Analyses have been pouring in from all quarters of the country anticipating the results of the marches. It really is, as Ali Aftab Saeed wrote in Dawn recently, that amidst plenty of speculation, none of us are sure whether the government will crumble or survive. However, the March alone will not define the result. It will be the interaction between the government and the protesters that will determine what the protests yield. Numerous areas in Lahore have been blocked by containers, barricades and barbed wires while news of PTI and PAT workers’ has also spread. 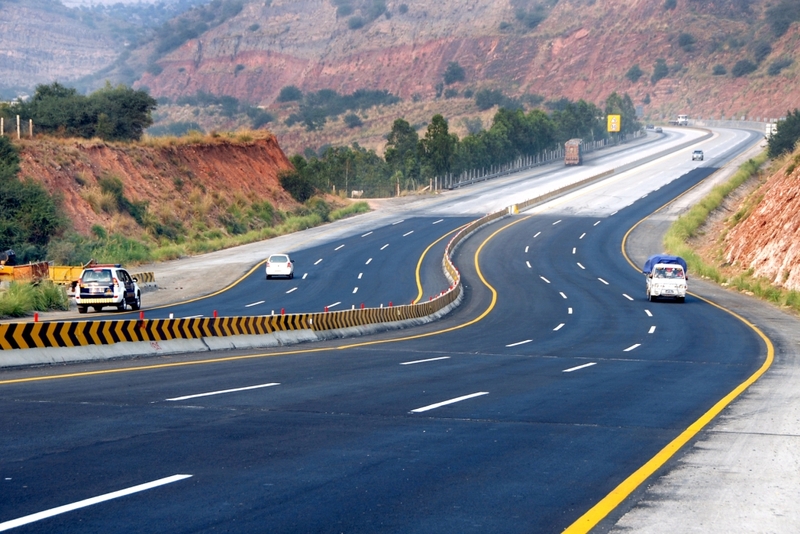 400 containers have been installed to cordon off the twin cities of Islamabad and Rawalpindi. Fuel supplies have been suspended. 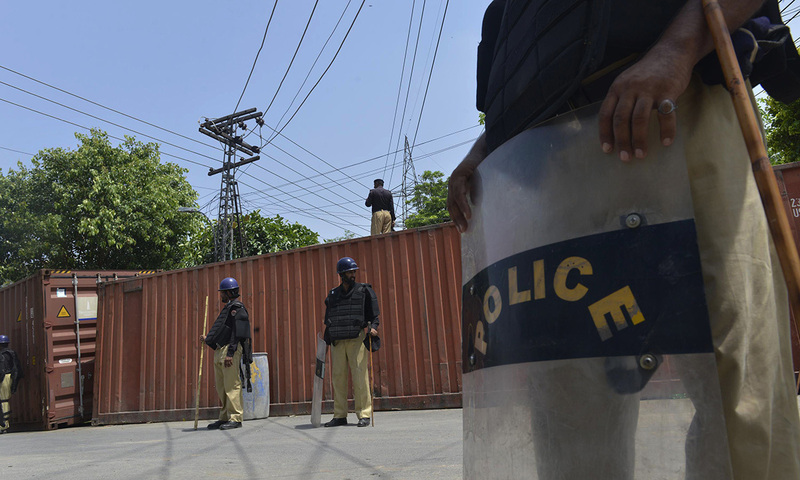 Article 245 has been invoked, and now Section 144 has also been imposed in the capital city, while leaves of the Islamabad Police have been cancelled. The suspension of mobile services is also under consideration. These have been causes of extreme inconvenience to citizens. But more alarmingly, the PML-N is once again demonstrating its disappointing tendency to panic and jitter, a characteristic the people would like to discount from a party in its third stint in power; which inevitably has the effect of creating and self-starting crises. What the government, despite being given a democratic mandate to rule, is also demonstrating through such decisions is a posture of intimidation and weakness. The right of protest is one of the most important constitutional rights; it is one of the many mechanisms within a democracy that checks the government in instances of deviation. Asha’ar Rehman is right to point out that, and the quote follows: ultimately, the essence of a protest is how sensibly and responsibly it is reacted to by those it is aimed at. The flurry of decisions taken by the government is not only reflective of its characteristic edginess but also holds potential for prompting an explosive situation as impediments to the protest; a disquieting development that will give way to chaos by way of exacerbation of the conflict. The PML-N government needs to abandon its current bearing of edginess that is directing its unmeasured response to the scheduled protests and March; and adopt a cautious and sensible approach to the unfolding events. Crackdowns and blockades shall only enrage the spark that threatens to inflame the government, and the future of democracy in Pakistan. The only path out and forward is political engagement, which the government must spearhead by shedding its lassitude and dangerous edginess. The ominous uncertainty looming over Pakistan right now can only be dispelled if better sense and sensibility prevails on all sides, and eclipses Imran Khan and Tahir-ul-Qadri’s extreme demands and obstinacy; and the government’s jitters and delayed political engagement. Otherwise, all shall be lost. 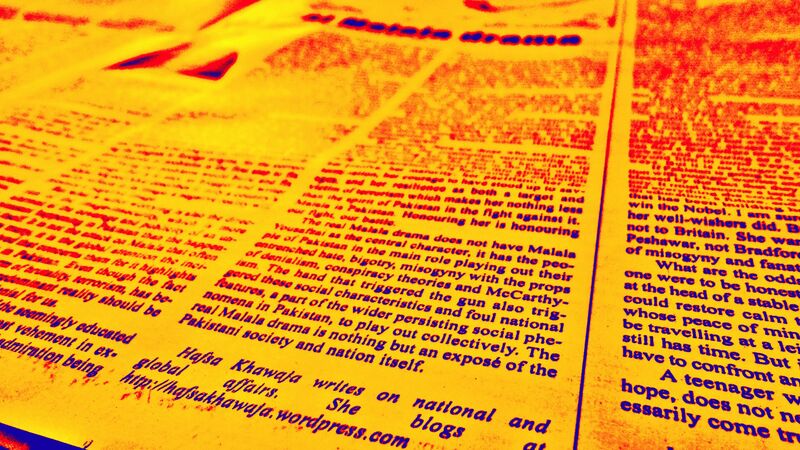 *Originally posted on Express Tribune Blog, posting the whole version here. So the people of Pakistan have finally spoken! And their votes have surged the PML-N to power once again. PML-N’s supporters and voters are immeasurably elated, they may not have been as expressive in declarations of their support but they certainly have been expressive and assertive of their support through the ballot box. 1. The acute civil-military imbalance that characterizes Pakistan’s power disequilibrium is an issue that I view to be not only pressing but whose offshoots are several other troubles in the country. 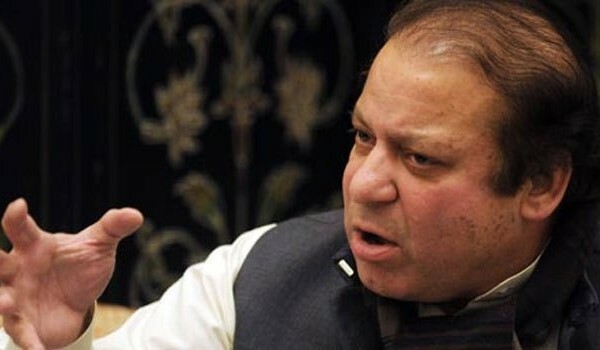 It demands a rectification, and the PML-N has shown the clearest stance in this regard: upholding the rule of civilians; respect for the mandate of elected-representatives; autonomy from the military establishment, its ventures, adventures, forays into the political and policy-making arena. Picking and sticking to such a stance, in my opinion, is the first right step in the direction of its redressing. 2. Their economic and infrastructural focus has always been palpable, and their track record is a testament to that. From the M2, setting up of NADRA, dams and power plants, PML-N has delivered in the past in the little time they were given in contrast to their mandate of a total of 10 years in separate stints at the federal government. The Metro Bus system has also been a noteworthy project that can not be denied as not having benefited countless people, regardless of other criticism. 3. It has proven its seriousness towards education. Apart from establishing the outstanding Danish Schools, the Punjab Government’s effective implementation of education reforms all over Punjab, although criminally underreported in Pakistan, yielded remarkable results. 4. A specific characteristic that struck me about the party, had been its sense of political maturity and responsibility. I believe the PML-N displayed judiciousness by allowing the last government to complete its term and not bestowing a crown of political martyrdom and victim hood on its head. 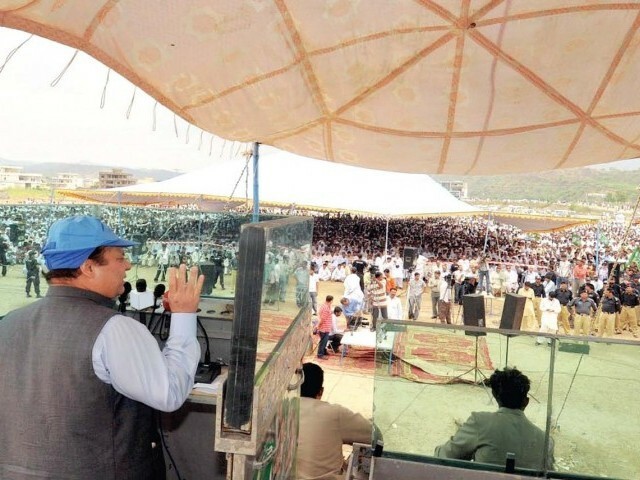 If the PML-N’s role is seen in this regard and context, then it also gets the credit for contributing to the milestone of the first term completion of a democratically-elected government in Pakistan and thus, facilitating the transfer of power from one democratically-elected government to another which these elections were. In its continuous display of political sagacity, the PML-N also brought together all opposition parties against the “circus” that Tahir-ul-Qadri put up in Islamabad; a reiteration of the party’s pledge to stand by democratic principles. 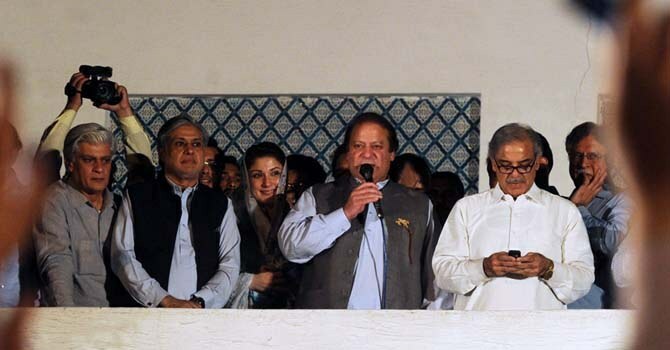 PML-N’s leaders also did not reciprocate the mudslinging and potshot-taking initiated by Imran Khan. 5. It is a party that has acknowledged its mistakes regarding Balochistan in the past and is making efforts to rectify those; it has reached out to Baloch leaders and called upon them to contest in the elections. 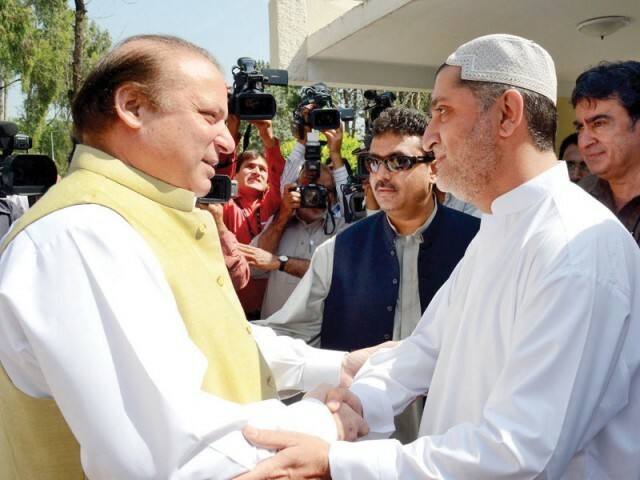 Back in September 2012, the PML-N announced its backing to the six-point proposals of Akhtar Mengal in removing the deprivation of the people of Balochistan. 6. One can gauge the interest and dedication of the party for cultural revival by the initiation of projects for the restoration of famous cultural and historical sites and places in Punjab, particularly in Lahore, that many citizens are well-aware of. The beautification of the provincial capital and the opening of the New Lahore Food Street only add more weight to this measure. 7. From Sartaj Aziz, Ishaq Dar, Khawaja Asif to Ahsan Iqbal, PML-N hosts a competent and capable team of veterans that will certainly assist in the implementation of its vision. 8. 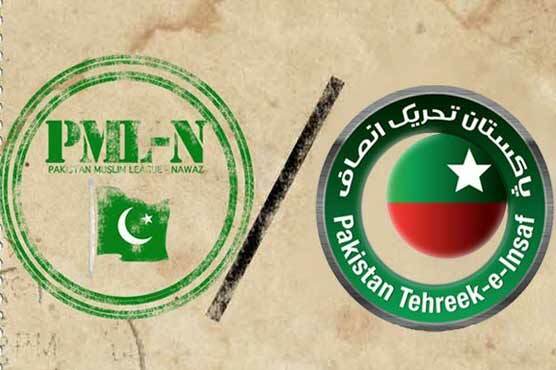 Lastly, the PML-N is an alternative for me to PPP and PTI, parties that I do not support for a number of reasons. I was and am conscious and critical of PML-N’s flaws and wrongs, and know that the party I chose for these elections may not be the best. I also know that the aforementioned points I have penned as my reasons to support it may even be or are found in other party’s stances, manifestos and works but the collective existence of all of these in a single party, constituted a reason enough for me to cast my vote for them. Now that they have been elected as the government, PML-N will understandably under the pressure of its mandate to fulfill its duties and expectations of the nation. 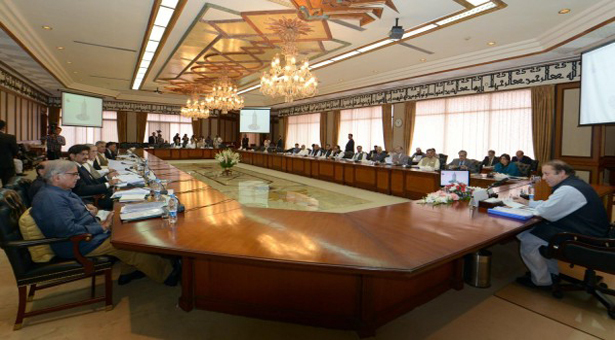 It is required that they actualize the roadmap they presented in their manifesto: from economic revival and growth, curbing of terrorism and maintenance of law and order in the country especially in areas where the government’s writ has been blown into smithereens and that are routinely aflame; dealing with the energy crisis; reintegration of FATA into the political and national mainstream; the country-wide implementation of their education reforms of Punjab to promises such as the depoliticizing of sports boards. PML-N can also rid the influence of the undemocratic forces in Pakistan by assertive democratization of the country which can largely be established through good governance. 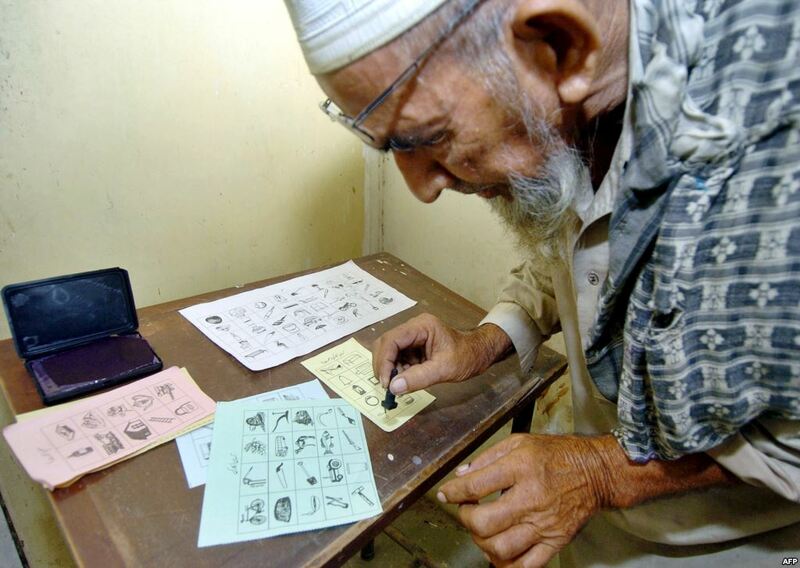 Keeping aside the emergence of rigging allegations and controversies surrounding the elections for a moment, there is little doubt that these elections have been a historic one for Pakistan. Being the first transfer of power from one civilian democratically-elected government to another with the highest voter turnout to date; they have been more a victory for democracy than any party in the country. The single sentiment that has simultaneously surged with the results of the elections has been of hopefulness. Even if the PML-N was not the pick of a segments of some people, these elections and this government are hoped to be the opening of a new chapter in Pakistan’s tumultuous journey that sees the beginning of every Pakistani basically wants: a better, prosperous and progressive Pakistan. *First posted on PakTea House. There are usually, if not always, a certain set of characteristics and qualities that a people expect their leader to have. 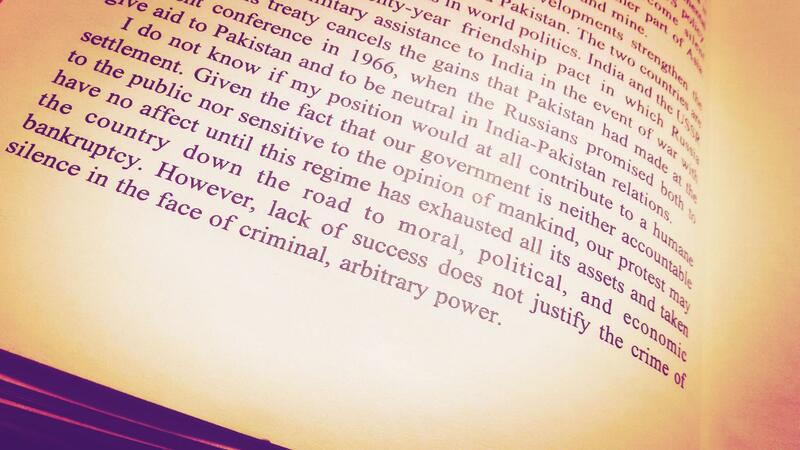 Amongst the numerous of honesty, integrity and dignity that Pakistanis seek in a leader, is also bravery. With the elections approaching fast, the idea of bravery seems to have been accorded quite a role with populism at play. A certain notion has been developed in political rhetoric plus social media and political discourse that equates bullet-proof shields and security for protection to ‘cowardice‘. A number of statements and acts have sprung forth from different political sides either proudly proclaiming their pluck and fearlesness, that they declare only to be existing for the Creator; getting a security measure chucked publicly to testify that or pointing its continuance at rivals’ rallies to ’prove’ their chicken-heartedness. 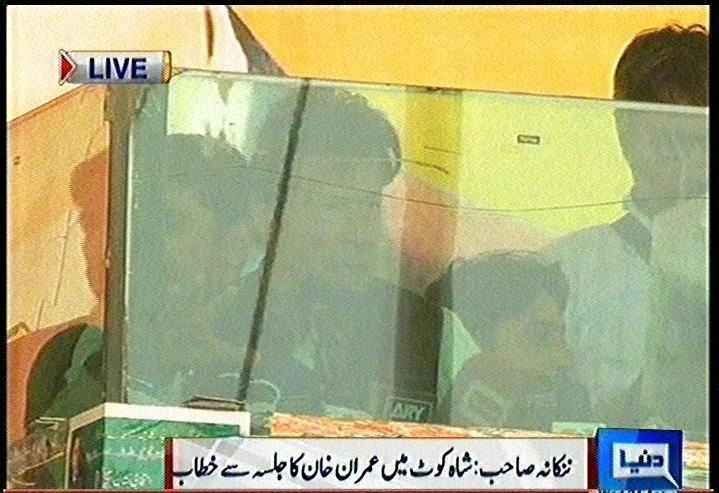 Imran Khan who initially did the above-mentioned, had to resort to shielded containers at some jalsas, reportedly even Nawaz Sharif also ordered the removal of his bullet-proof shield at the jalsa in Jarranwala. In recent years, Pakistan has been consumed into an abyss that has swallowed over 40,000 including countless political leaders and representatives. 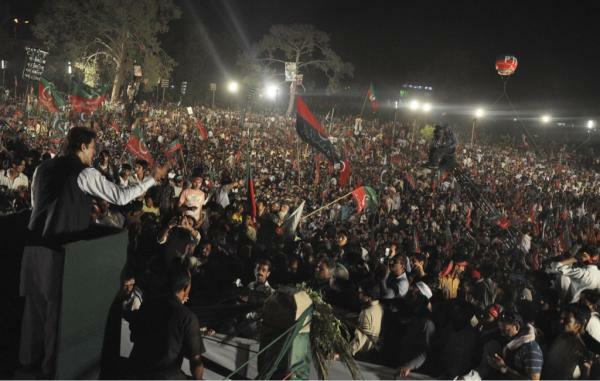 From the late Benazir Bhutto to Bashir Bilour, the onslaught has only expanded and continues to swell. Extremism and terrorism have breached every inch of the country and the lives of its inhabitants. 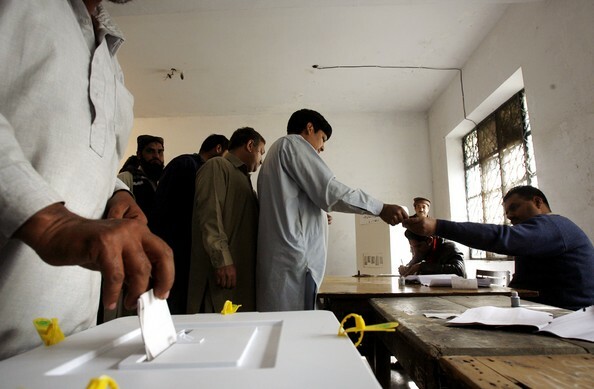 With blasts ripping through different areas of the country, attacks on various candidates of different parties, their processions, offices and rallies, these elections have witnessed the resurrection of the electoral field in Pakistan as a bloody battleground. Keeping the present in mind, the notion of abandoning security by any political leader as a testament to his ‘bravery’ not only falls nothing short of absurd, but constitutes sheer recklessness. This country can neither afford more bodies to bury nor more tragedies caused to orchestrate further instability, which is being referred to as the main means to subvert the link of completion in Pakistan’s first transfer of power from a democratically-elected government to another: the elections itself. In these times, bravery does not lie in the removal of bullet-proof shields but the vocal, wholehearted and practical espousing of a hardline stance against all kinds, types, forms of terrorism, radicalism, extremism and terrorists; their wholehearted condemnation which doesn’t slip into selectivity; the involvement of public presentations of proper policies and plans designed to purge the country of this menace; pressure of demands on different national institutions such as the judiciary and the Election Commission for trying, barring and excluding extremists and terrorists from participating in all types of activities be it hate-mongering or elections instead of keeping mum over instances such as the recent (reported) allowance given to 55 candidates from Punjab, who belong to 10 different sectarian groups, to contest the electoral race. For too long, the demonstration of this genuine valor has been staved off through its substitution by hollow and superficial displays of bravery. And it must be realized today that the real test of courage lies not in the removal of bullet-proof shields but in the embrace of this sincere audacity for what truly is, Pakistan’s fight for its soul. This is something that I’ve wanted to write about for long. I’m not a supporter of PTI but I am miffed at many of you who are, and no, this is not another in the long list of posts written by victims of the trolls. This is about the general, average PTI supporter that I have come across. (Now, now. You may say these are just a handful, but what matters is, they are still there). With the rise of PTI there has been inevitable and palpable rise in your numbers; its supporters, their visibility and their displays of support to the party. There is nothing at fault with this, it is only vital to the cultivation of a democratic culture of political choice, participation and support in a developing democracy like Pakistan. Talking of democracy, and this is where my problem with you appears. 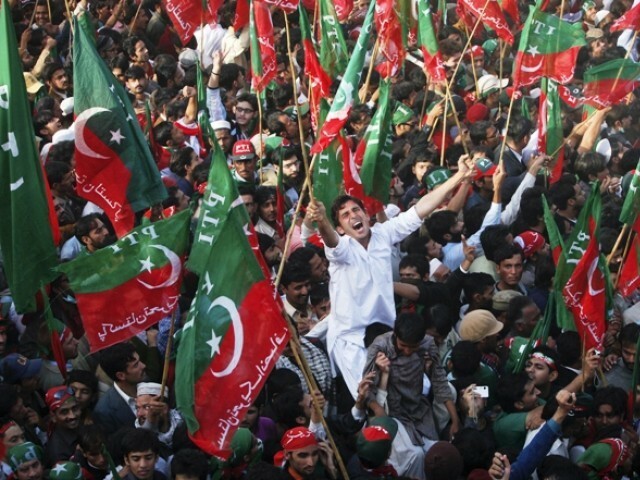 Urban PTI supporters, by their sheer force of numbers and assertions of party support, have created, consciously or unconsciously, an environment of fear, uneasiness and reluctance for others to openly declare or admit their differing political choice of another party. This reluctance and uneasiness lies in your attitude, which may exist in segments of other parties too, but I have personally found it to be greater in prevalence in PTI’s supporters. There is an air of self-righteousness about many of you, which seems to stem from your support for Pakistan Tehreek-e-Insaf. Here is a revelation: every single citizen of Pakistan has the prosperity and progress of Pakistan in both his heart and mind when chosing a political party to support. Supporting a different party does not make him to be a Pakistani who wants it any less than the supporter of another party, which in your case, is PTI. It does not make him an unintelligent individual who must, and must, be voting for the other party on the basis of ignorance, ethnicity, religion, sect or biraderi. Nor do you, by the virtue of being a PTI supporter, become a better, more patriotic or a more wise Pakistani than others. “The change” has been converted, by you, into one that is synonymous with Imran Khan. Another realization knock: change is a very subjective word. What may constitute change for you, may not constitute change for me. Imran Khan is the torch-bearer of change for you, and with all due respect and my admiration for him as a cricketer and a philanthropist, I do not subscribe to his political ideology. And if I state this as a reason for ‘not supporting the change’, it is best that you accept it. And in contrast to what many of you tend to turn to as a course, it gives you absolutely no right to corner, mock, intimidate or question another party’s supporter for having a political choice dissimilar to your’s. No voter is accountable to any other voter for his own political choices; he is neither bound to justify those to him nor is he obliged to feel awkward or uncomfortable for having a political party that seems to have lowered in mainstream popularity or in your/his eyes. As supporters of PTI, you have been at the forefront of canvassing for your party’s candidates and convincing others to vote PTI. What you must realize is that there is a difference between convincing and forceful political proselytizing. If I haven’t asked to be ‘convinced‘, and don’t push you to support my party and have already made up my mind, kindly cease the over-assertive attempts at my conversion from your high horse. Everyone has the provision of a single privilege, by which he exercises his prerogative of a voter’ one person has only one vote; and to you, your vote, to me, mine. I wholeheartedly respect your political pick, you respect mine. At the end of the day, you must realize that you are not doing anyone a favor by this attitude which you have adopted. Especially not your own party. What you must realize is that difference of political opinion and choice is a natural composition of the political landscape of any country wishing to espouse democracy, and as we inch towards its establishment, it will be the sooner the better that we all come to accept and adapt to it with tolerance and respect. 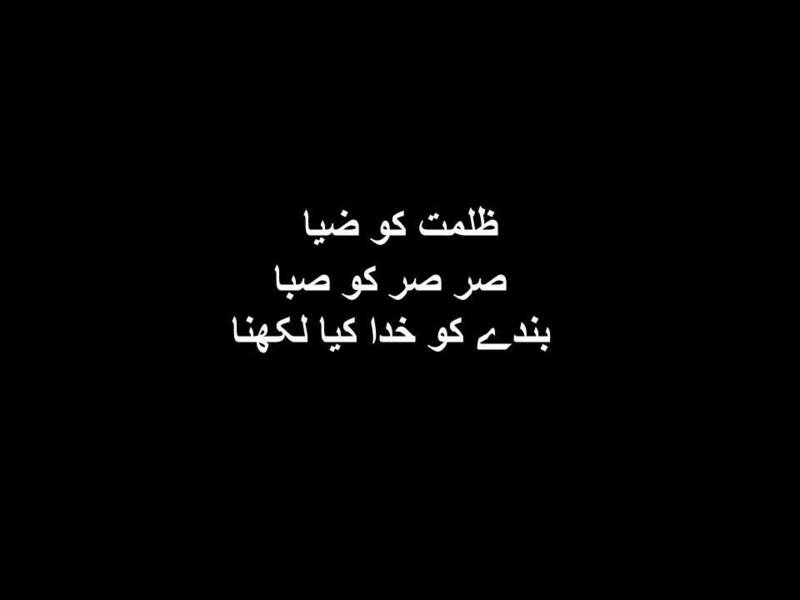 Here’s wishing these elections help and heal Pakistan, and we begin to mature ourselves as citizens, party supporters, voter and above all, Pakistanis.